I’m Andrew Neal, 21, a part time student in Oxford, Mississippi. I work as a screenwriter and, honestly, I couldn’t be living in a better place to do what I’m most passionate about. Tell us three passions, what are your favorites? Why did you choose these three? Writing: For many years, I’ve challenged my creativity to write something that others can understand. From poetry to screenwriting, it’s my life. Movies: Over the Summer, I have managed to watch around three hundred movies. Everyday, I watch at least one movie. Social Media & Interests: Have you noticed how quickly everything from technology to social networking is changing? I’m addicted to learning how our interests connect us with others through social networks. Tell us something that you discovered on CircleMe that you loved and why. Somebody recommended that I watch the movie, Monster. I’m glad that I took their word for it because it was awesome. It would have to be water rafting. It’s a thrill seeking adventure of getting thrown around with friends on the rapid waters. I discovered CircleMe during the Beta phase and immediately signed up. It was something that stood out, beautifully and well thought out design and an experience based around a user’s interests. What do you like the most about CircleMe the most? The smaller features that you don’t typically think about, but enhance your social experiences; such as voting on comments, trusting people, adding an interest to your to-do list and other small features that make it worthwhile. 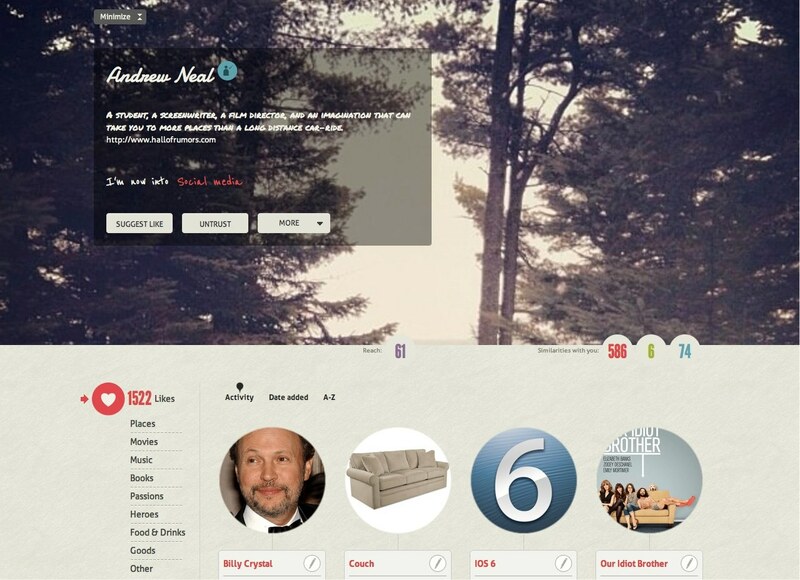 Where do you see CircleMe in two years? Everything that we do is becoming mobile. This is just the stepping stone for CircleMe. Anytime I go out with new people, I’m asked what I enjoy doing. Instantly, my mind goes blank and my thoughts start instantly racing. While I’m with people, I can whip out the cell phone, log on, and I have a variety of interests to share. In two years, I expect that the very heart and core of CircleMe will be invested in their mobile app. Interests can be shared in a more visual, real-time newsfeed of anything and possibly turned into a game for friends. ← A brand new look for item pages!